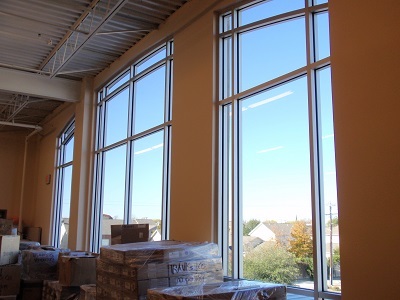 After decades of working with ISI Detention Contractors and MCS Security Electronic Contractors on various criminal justice projects, Sam Youngblood contacted LMD Architects to design their new office and warehouse building. Site and feasibility studies were prepared to determine the viability of combining lots and adding onto the existing building versus construction at a new location. After evaluating all options, the Owner decided to build a new building adjacent to the existing MCS offices. LMD designed a new two-story 15,690 square foot building with staff offices, production assembly and warehouse functions. 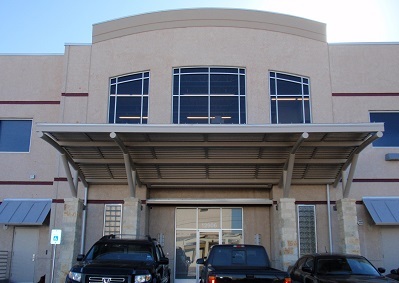 The new building was built adjacent to their existing building and connected by an expansion joint. Since a core function of their business is shipping, a recessed truck dock and freight lift was built to ensure all receiving and shipments are handled efficiently. The proficient layout of production space allowed for maximum production within minimal space commitments. Specialized mechanical and electrical systems were designed to meet the production area’s specific requirements.